Would you like to meet new people, make friends, have fun, learn new skills, gain work experience, all while raising money to support the people in your community who need it most? "I have made lots of new friends, theres a great atmosphere and it's all for a great cause". I hadn't been in work for some time and volunteering at the Boutique gave me the confidence and skills to gain the employment I am still enjoying today"
I felt so alone after my Husband passed away, volunteering at the shop in Alcester was a life line and has really helped me to move forward". 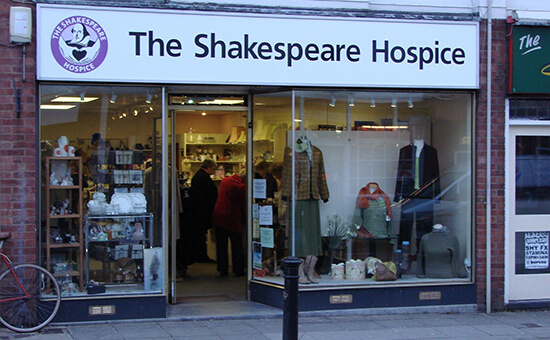 If you would like to find out more, why not pop into your local Shakespeare Hospice shop and have a chat with the Manager who can arrange a TASTER SESSION for you. A TASTER SESSION is a couple of hours spent with the shop Manager (no prior commitment required) who will explain what is involved in the retail role.